Courses will be held in Milton Keynes. The main suite of courses will be at the Kents Hill Park Training and Conference Centre in Milton Keynes. 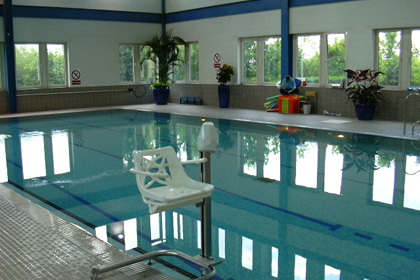 This is a modern purpose-built training centre with its own residential and leisure facilities and free wi-fi. The training suite has projectors, wi-fi and syndicate rooms. 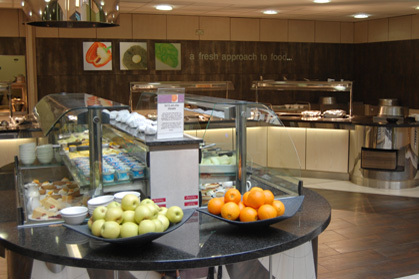 The restaurant has a choice of meals, with vegetarian options. The leisure suite includes a swimming pool, squash courts, fitness studio, sauna and jacuzzi. The bar area and coffee lounge include a pool table, satellite television and a cash machine. Around the venue are a variety of walking and running routes, including to the nearby Willen Lake. The centre of Milton Keynes, with its Xscape leisure zone and Centre MK shopping centre is 5 minutes away by taxi or car. The Xscape leisure centre includes an indoor Snozone, for skiing and snowboarding, and cinemas and bars. The Centre MK shopping centre has a wide range of stores all under one roof. Further details about Milton Keynes can be found at the MK Web site. Milton Keynes is conveniently located for those coming by road, rail, coach and air from most parts of the United Kingdom and Ireland. Aberdeen, Belfast, Dublin, Edinburgh and Glasgow are 1.5 hours away by air, to Luton airport. Links are provided here to rail timetables, as well as Q-Jump, Trainline, and Virgin Trains. Click here also for National Express coaches to Milton Keynes and flights by easyJet and Ryanair to nearby Luton airport.